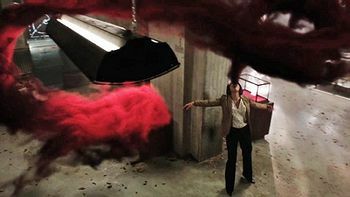 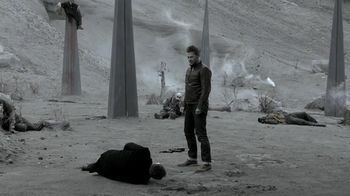 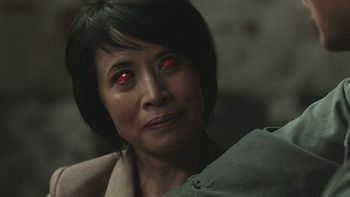 After Dean has died Sam attempts to summon Crowley, little realizing that Crowley is already inside the Bunker and with Dean's corpse. 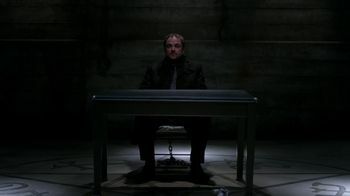 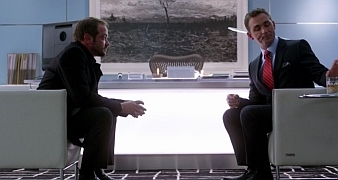 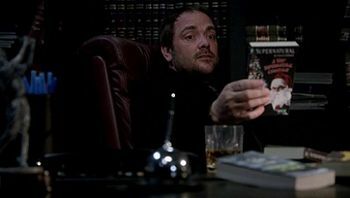 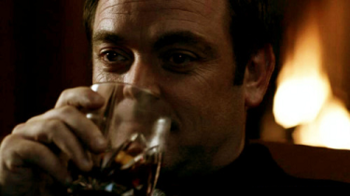 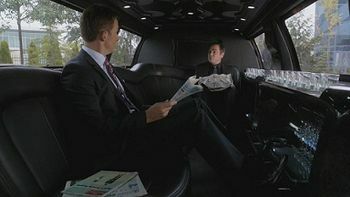 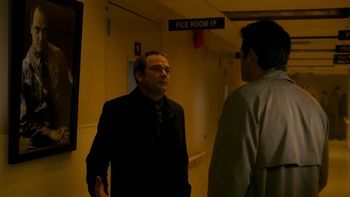 Crowley tells Dean that he has never lied to him, but he did omit certain truths or only half-tell them. 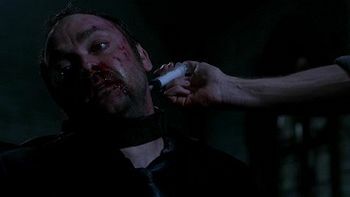 He tells Dean's corpse that there is another story about Cain, that one day he realized what the Mark was doing to him and in desperation took his own life... but the Mark would not let him die. 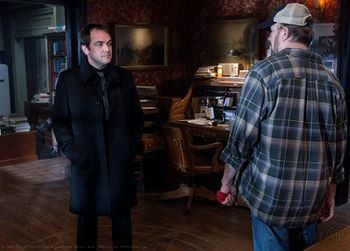 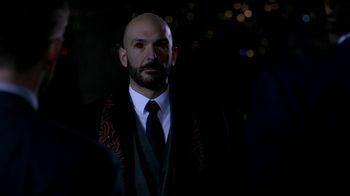 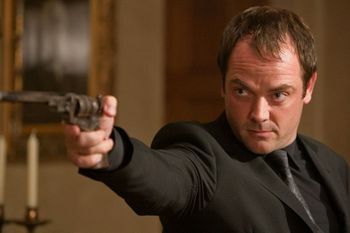 He tells Dean that he isn't really dead but is entering a new life, where he will see what Crowley sees and feel what Crowley feels. 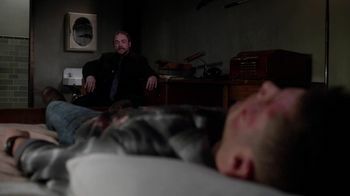 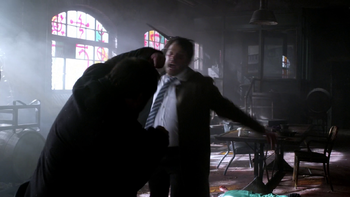 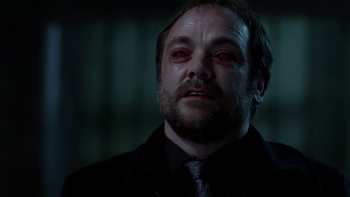 He tells Dean to open his eyes, which Dean does revealing that he has become a demon.